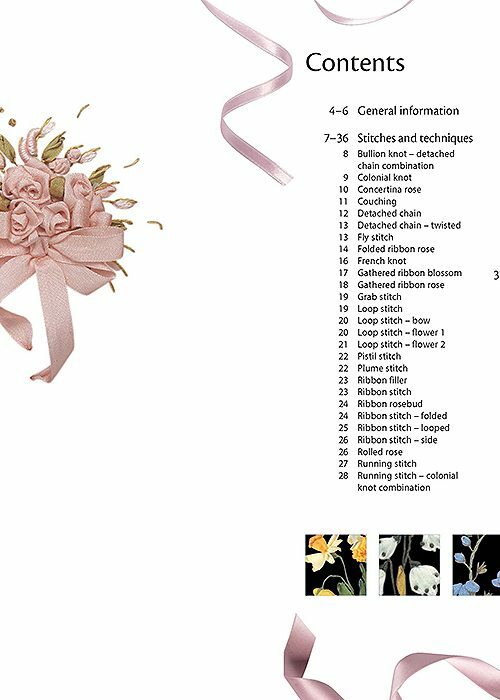 The appeal of ribbon embroidery is timeless and thousands of embroiderers have been captivated by its ease of use and fabulous results. 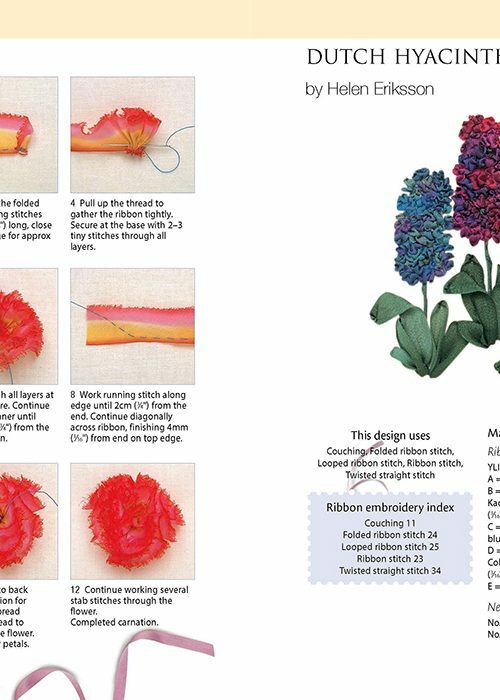 Here you will find every stitch and technique fully explained with step-by-step photographs and clear instructions. 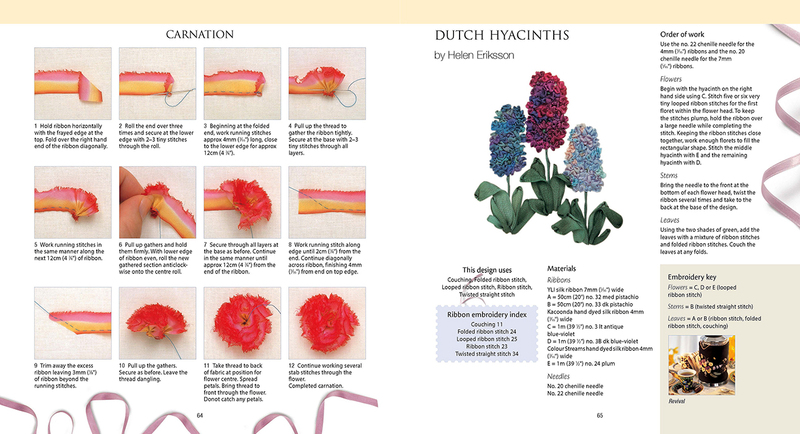 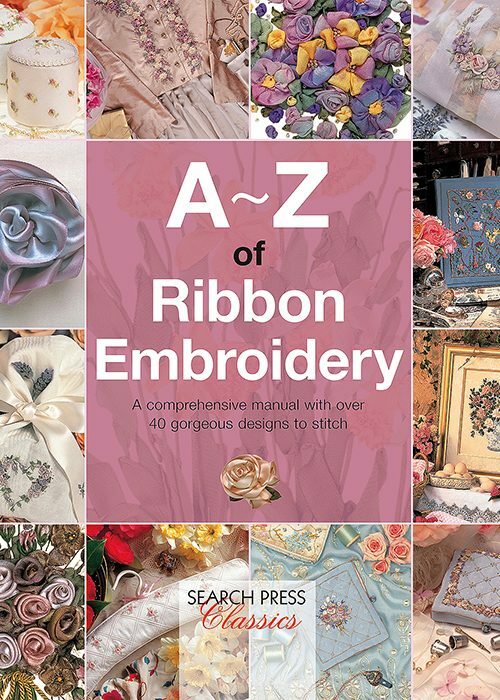 A complete manual for the beginner through to the advanced embroiderer with 40 beautiful designs with full details of materials, order of work and stitches used for each design. 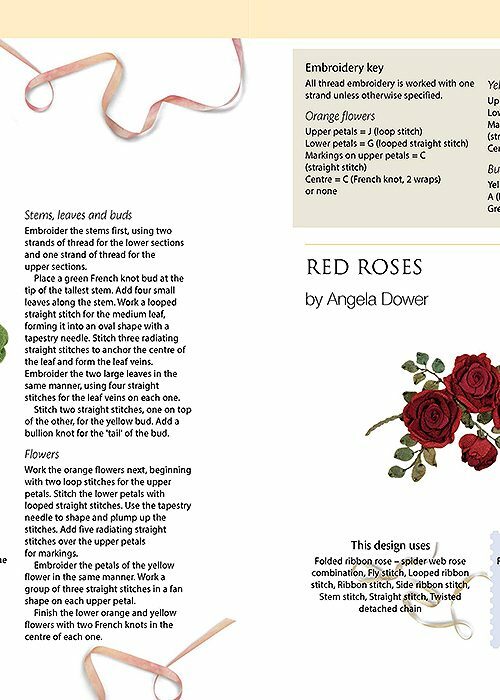 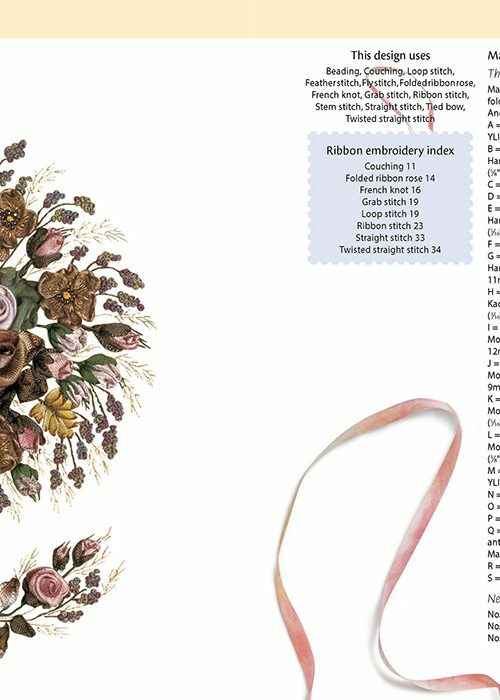 Accomplished embroiderers have compiled advice on choosing ribbons, fabrics, needles and frames, as well as a host of other hints and tips. 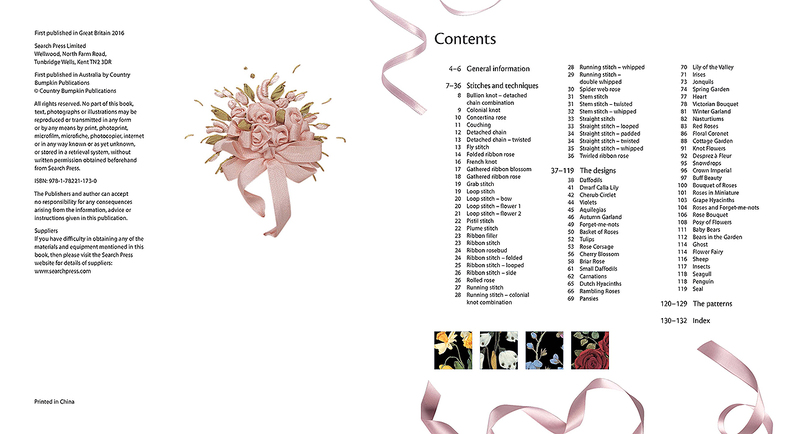 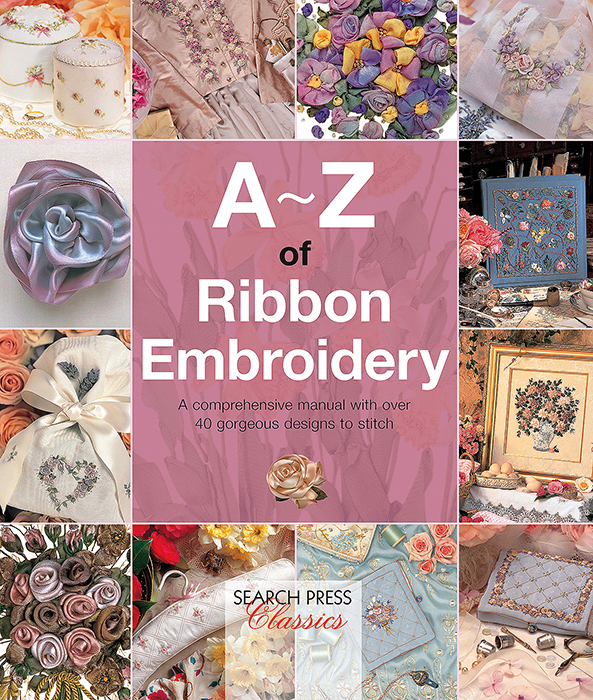 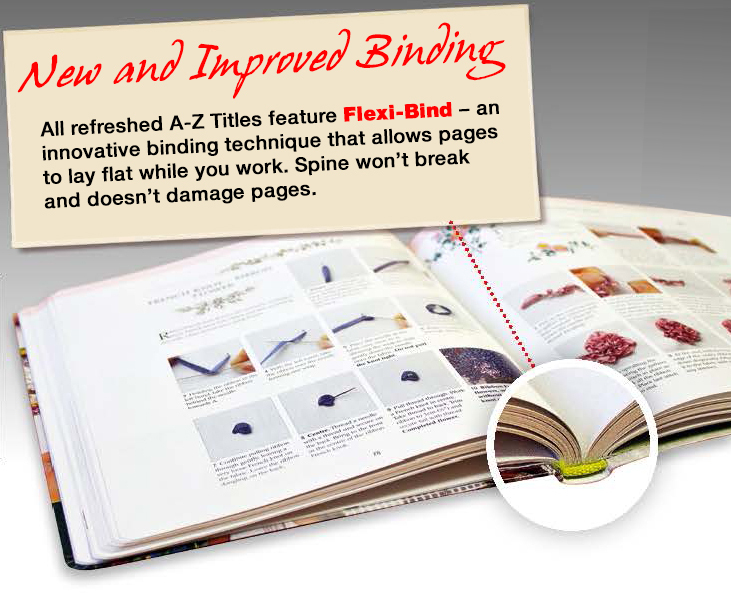 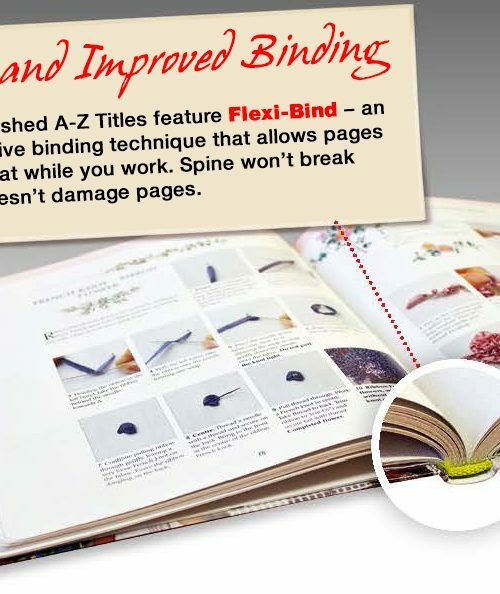 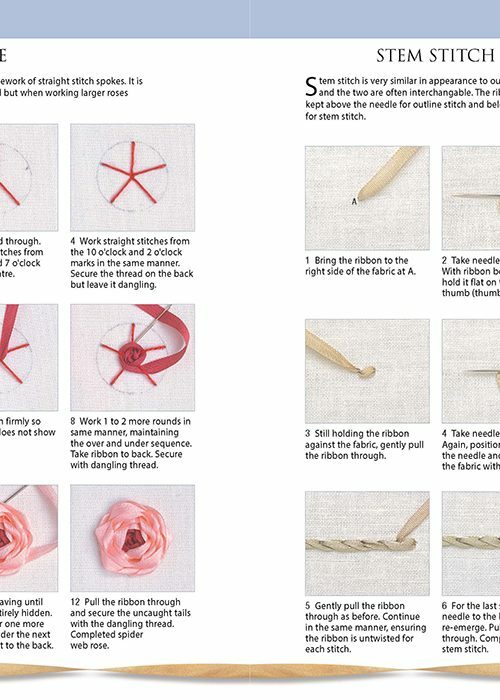 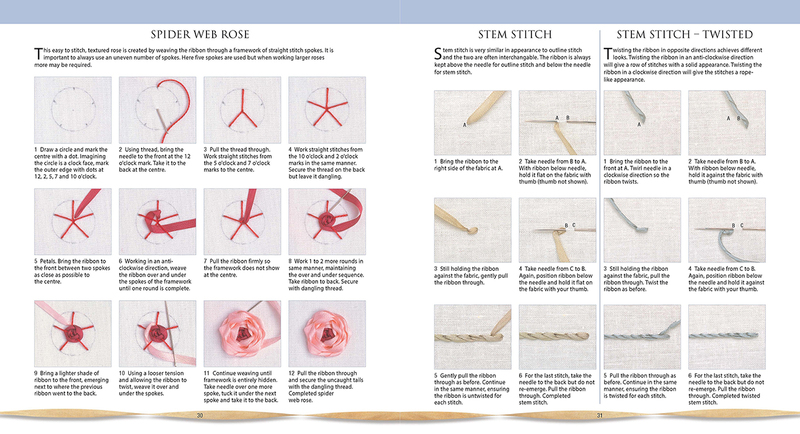 There are 40 exquisite designs with full detail provided on the materials and stitches used for every element and a helpful Ribbon Embroidery Index directing you to the appropriate step-by-steps for each technique. 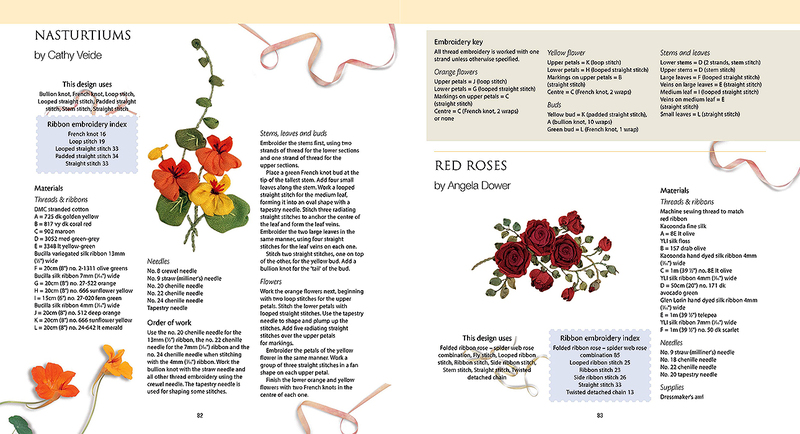 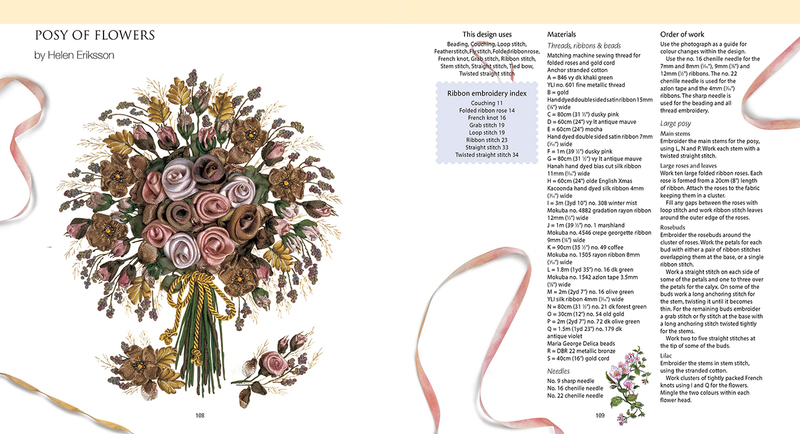 Templates, a pattern key and a comprehensive index make this a must-have manual for anyone wanting to learn or brush up on ribbon embroidery skills.